"ApplianSys understood our need from the word go. Demo and product introduction was good. Good interaction, response and knowledge of product." Asif Kassam, Skyband, Malawi "DNSBOX can be managed by non-professional technicians. Just teach them a few quick steps then off they go"
Naif Orabi, Network Administrator at TAIF Ministry Of Education, Saudi Arabia "We have eliminated human-error from the updates and with administrators no longer having to work unsociable hours there is higher job satisfaction"
Dan Risher, Network Manager, UCG, USA ""DNSBOX automates the resolution of common queries and ensures a high reliability DNS service."" Geoff Hall, Exel Logistics, UK "I haven't had a single issue with DNSBOX. I especially appreciate the security features provided by the role separation of Master and Slave units." 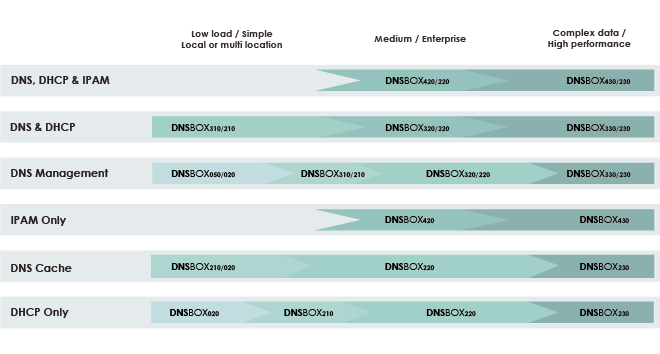 Whether you want to deploy an integrated DDI infrastructure or simply a dedicated recursive resolver, the DNSBOX family has a solution to meet your needs and budget. Select the right components and make the solution will be a perfect fit for your requirement without paying for extra features you don’t need. DNSBOX is available in a range of sizes to handle different volumes of traffic, catering for your individual need and budget. 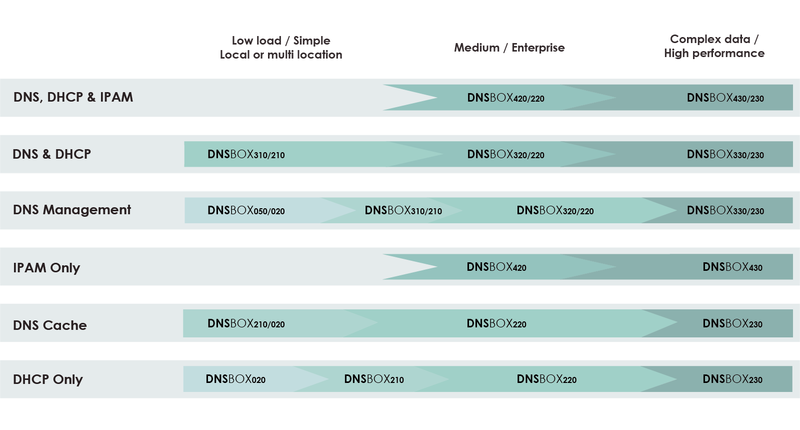 Standard Duty models are suitable for most networks. Heavy Duty models feature higher specification components for very high query loads. Light Duty models are designed for SMEs or very tight budgets, with commercial rather than industrial grade chassis, lower performance components and restricted IP licensing. However, they can fit where shallow-depth chassis are preferred (eg in a comms cabinet rather than a standard server rack). Need help selecting the right model? Tell us about your requirement and we’ll help you determine the best solution for you.